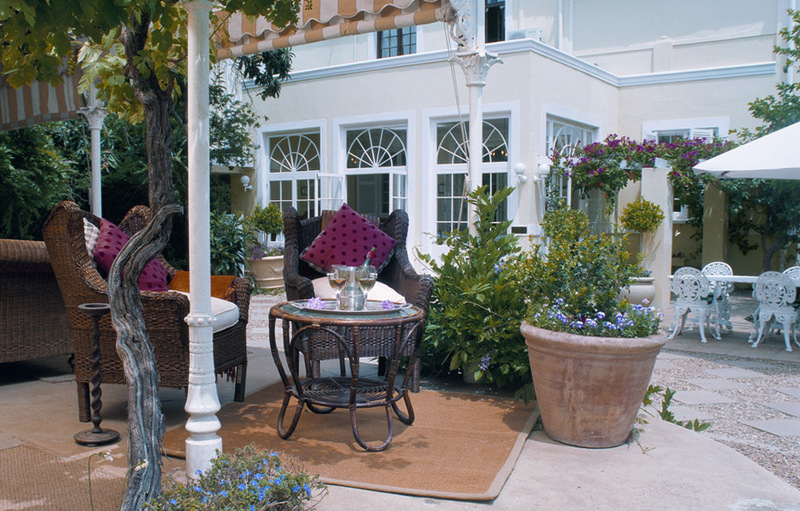 River Manor Boutique Hotel and Spa in Stellenbosch is a beloved National Monument with two beautiful historical houses. Just a two minute walk away from Stellenbosch’s town centre it is the perfect base for exploration of the renowned Cape Wine Route and offers guests the opportunity to play at four of the country’s top golf courses. 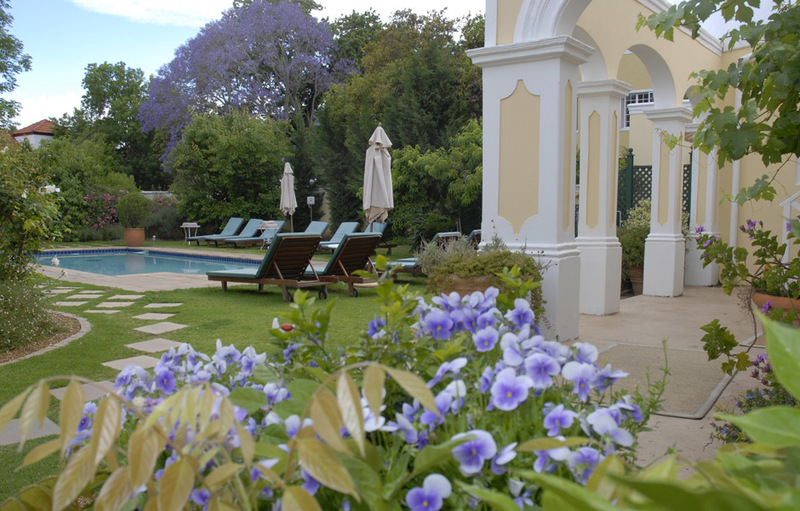 The beautiful colonial home is set within lush gardens, brimming with Jacaranda trees and an ancient Guava tree. Original antiques are found throughout the hotel and the atmosphere is warm and welcoming. There is a wealth of activities available in the area or guests can simply relax pool side and read a book from the hotel’s intimate library. For a truly indulgent experience, spoil yourself with an invigorating and revitalising spa treatment in true French tradition. Treatments are personally designed with an emphasis on touch therapy and are unhurried. Products used are all derived from natural grape extract. 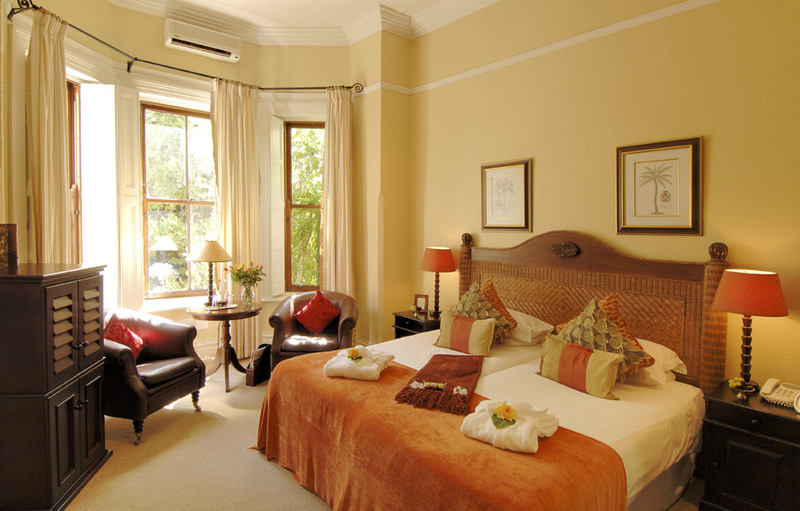 River Manor’s 16 beautiful and spacious air-conditioned en-suite rooms are reminiscent of a glorious colonial bygone era. They offer guests a choice of Petite, Standard and Superior rooms. All rooms come standard with satellite television, a mini-bar and snacks. 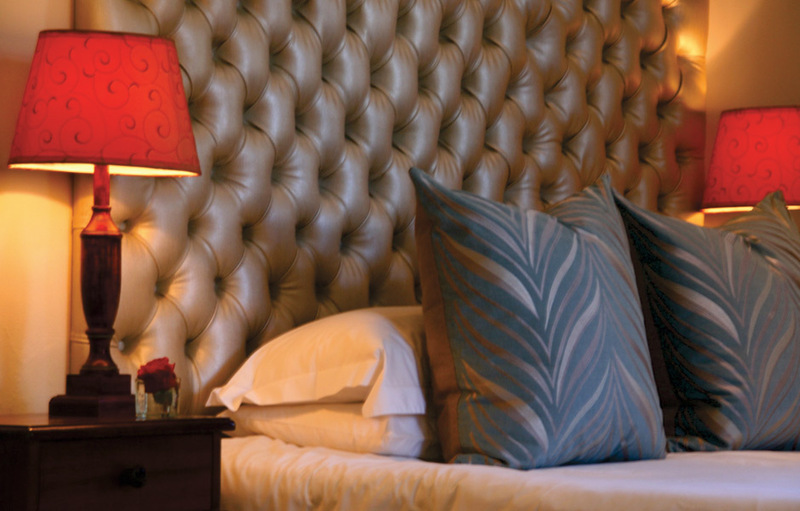 Petite Rooms – perfect for guests who will be spending their days exploring Stellenbosch and the surrounding areas. While smaller than the other rooms available, the Petite rooms are still as luxuriously decorated and appointed with en-suite bathrooms with showers. Standard Rooms - rich African colour schemes, soft plush furnishings and all the modern amenities are on hand in the standard rooms. The en-suite bathrooms have both a bath and shower. Superior Rooms – these are the most spacious rooms at River Manor. Guests will enjoy fresh flowers, complimentary sherry trays and homemade mini-bar snacks. Gorgeous Victorian baths are the focal point in the exquisite en-suite bathrooms.